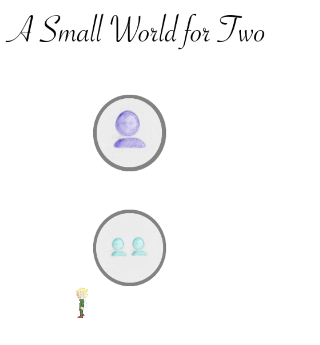 My attempt on the Small World Theme. Are you serious right now!!?? thats amazing.. great job! I was planning on asking you about your rotation thing you did with Robin. Did you use Stencyl code to accomodate after the rotation or was it all in Java/IOS? I am laughing my face off with this game. 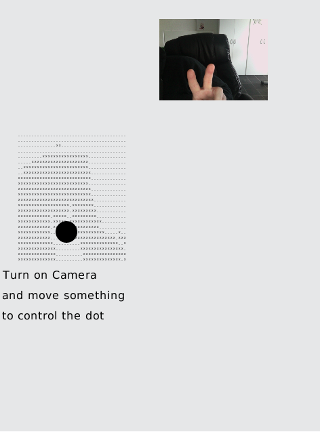 The WebCam Control is too sensative at the moment. Need to tweak that. At this time it is single player only. On mobile I have to integrate an A.I. 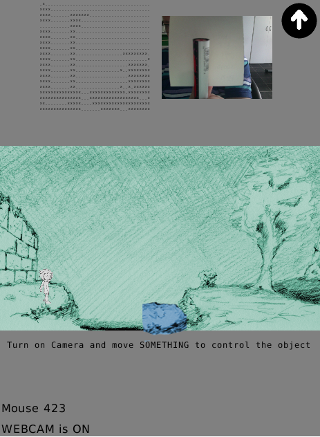 to step on the stone, but for desktop with a webcam you can control the player with the keyboard. 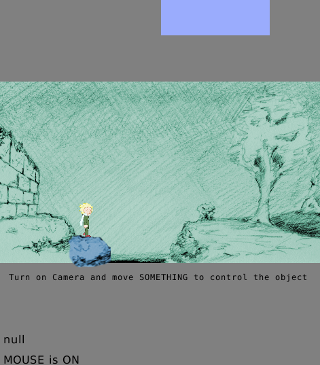 And if you don't have a webcam with the player with the keyboard and the stone with the mouse. I'm about to go to bed. * The Joystick replacement of A.I was a half hour fix and way funnier than the attempt of an A.I. 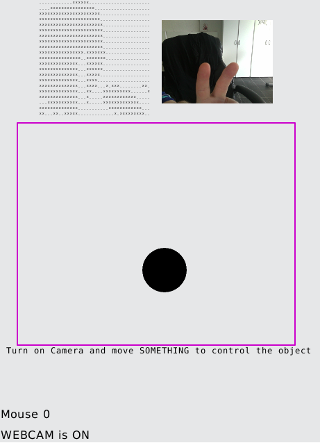 Oh and also a bug on trapping the player with webcam. I need to check for player-area before creating non-moveable-blocks at that point. 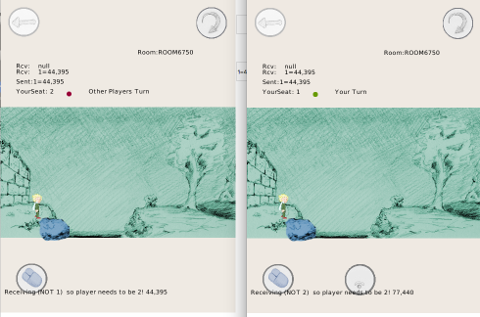 Multiplayer Turn Based mechanism is done. After two hours of working on the new near-realtime-engine I postponed that work. So I will try to make it a turn-based-thing. Well I don't think I can make it for the Compo: very tired. 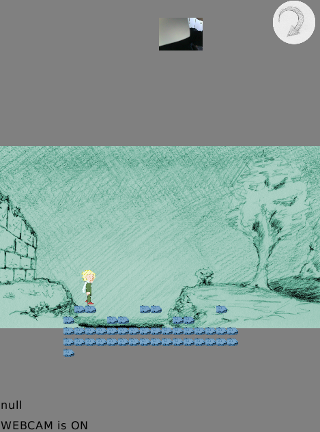 Currently working on some graphics for the next level(s) as my mind isn't capable of putting a collision detection together. Turn Based Send/Receive is not the problem. The problem is how to coordinate the two actions. I can do a 'little walk' - Send - 'Little stone move' - Send but that will make for not too interesting follow up levels. Maybe in my sleep I will find the cure for turn based and otherwise I can still give the near-realtime another go. There is always the extra day to do the Jam. So that will be it. And if all fails I will have still made HALF of a game. Well I've made it: MultiPlayer support. These are all so much buggy that I don't really want to put it on the jam as well. Next up are figuring out how to use WS secure, Make better template for multiplayer room reload and maybe work with Squeeb to get WebCam tracking methods. To everyone reading this who thinks there should be one-shot-fits-all multiplayer integrated into Stencyl, M.E. is probably the best server developer in the Stencyl community. He can attest that multiplayer is not something where you snap your fingers and everything just appears. To be honest I like the challenge. If it was easy I wouldn't have spend that much time on it.